Mark Berman is a partner in the firm’s Commercial Litigation practice group as well as in its other litigation practice groups. He co-heads the firm’s Complex Title Insurance Litigation practice. Mr. Berman is a member of the firm’s Cooperative and Condominium Housing Practice Group. Mr. Berman is experienced in all phases of litigation in both state and federal courts as well as in arbitral forums. He is a seasoned appellate attorney, having argued many cases before both the First and Second Departments. Mr. Berman is also a trained mediator. He has also been appointed as a discovery master by a New York Commercial Division Justice. Prior to joining, he was an associate in the litigation department at Skadden, Arps, Slate, Meagher & Flom LLP and clerked for United States Magistrate Judge Michael L. Orenstein for the Eastern District of New York. 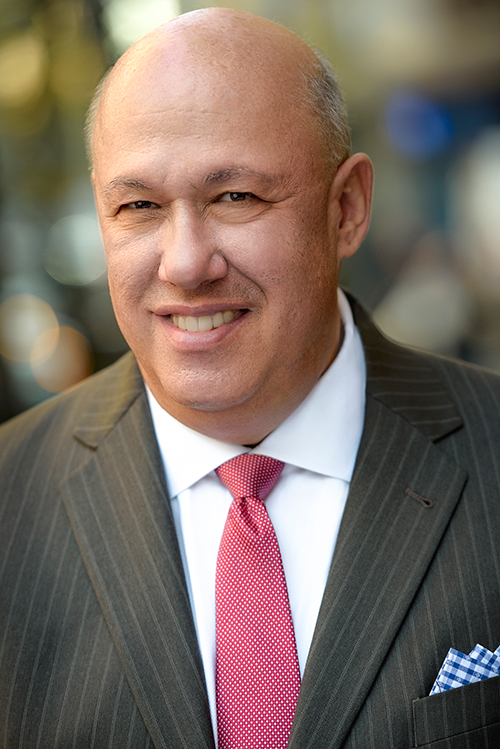 Mr. Berman has written and lectured extensively on electronic discovery, social media and ethics issues before the American Bar Association, the New York State Bar Association and the New York State Judicial Institute, the First and Second Appellate Divisions of the New York Supreme Court. He has been appointed by the Chief Administrative Judge as a member of New York State E-Discovery Working Group advising the New York State Unified Court System. Mr. Berman was Chair of the Commercial and Federal Litigation Section of the New York State Bar Association (NYSBA) for 2016-2017. He is an “at large” representative on the Executive Committee of NYSBA and Chair of NYSBA’s newly formed Committee on Technology and the Legal Profession. Represented a major hotel in a Yellowstone injunction dispute with its tenant. Represented plaintiff concierge company in an antitrust litigation and before the United States Surface Transportation Board. Defended company in a class action alleging violation of the Fair and Accurate Credit Transaction Act. Represented insured property owners and lenders in complex title disputes. Represented plaintiff beverage distributor against a multi-national drink manufacturer in a breach of contract arbitration. Defended Fortune 500 company in a malicious prosecution litigation. Represented plaintiff, a world-renown trademark owner, against infringers. Represented condominiums in disputes with their sponsor and architect in defective design and construction litigations. Represented a nationwide provider of maintenance services in indemnification actions. Defended developer in an air rights dispute relating to a New York City hotel. Represented employees in breach of contract actions against employers. Represented Assignee for the Benefit of Creditors in arbitrations seeking to recover loans made to brokers by a securities brokerage company. Represented developers and building owners in licensing disputes relating to neighboring construction. Member, “At-Large,” Representative, Executive Committee, NYSBA, 2018 to present. Chair, Committee on Technology and the Legal Profession, NYSBA, 2017 to present. Co-Chair, Commercial Division Committee of the Commercial and Federal Litigation Section, NYSBA, 2017 to present. Chair, Commercial and Federal Litigation Section, NYSBA, 2016-17. Co-Chair, Social Media Committee of the Commercial and Federal Litigation Section, NY State Bar Association, 2013-16. Board of Editors, New York State Bar Association Journal, 2016 to present. Fellow, The New York Bar Foundation, 2015 to present. Member, Education Subcommittee, Electronic Discovery Working Group for the NY State Court System, 2010 to present. Member, and former Secretary, E-Discovery Committee of the Commercial and Federal Litigation Section, New York State Bar Association, 2006 to present. Member, Federal Bar Council, Second Circuit Courts Committee, 2008 to present. Member, New York American Inn of Court, 2012 to present. Member, Professional and Judicial Ethics Committee, Association of the Bar of the City of New York, 2008-2011. Mr. Berman has lectured on professional responsibility, electronic discovery, social media and ethics issues at a variety of judicial education programs, bar associations and New York City law schools.